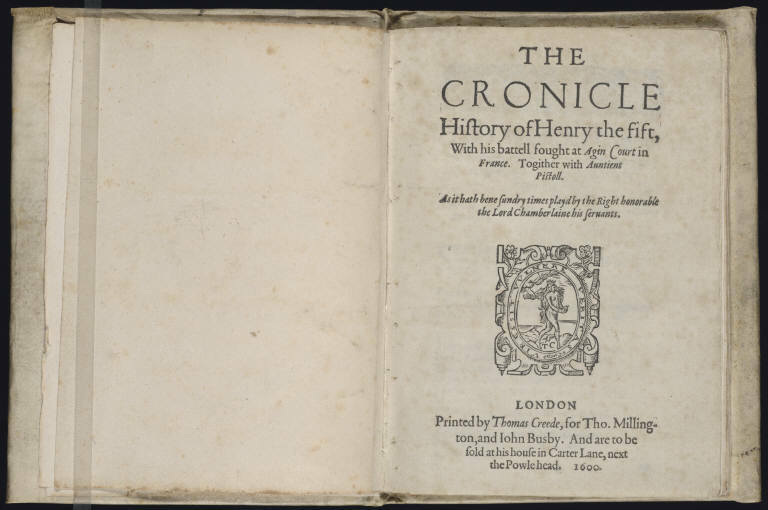 Prologues—sometimes written by the play’s author, sometimes not—frequently served to introduce and conclude Elizabethan plays, acting as a throat-clearing gesture to help quell the unruly audiences at the beginning of the play; epilogues, meanwhile, offered the players and writers a moment to test out how the play was received by the audiences who just watched it (Think, for instance, of Rosalind’s epilogue at the end of As You Like It). As such, they were frequently used for the first performances of a play, but after that they were frequently discarded. 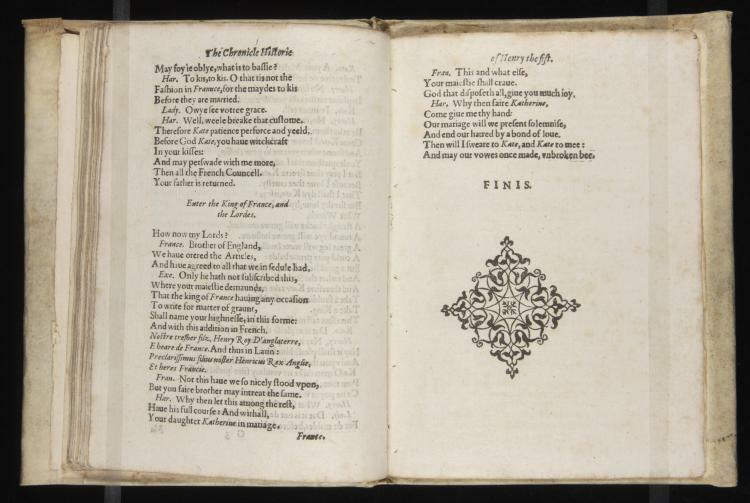 The relatively ancillary status of epilogues and prologues alike meant that they made their way into print only occasionally. 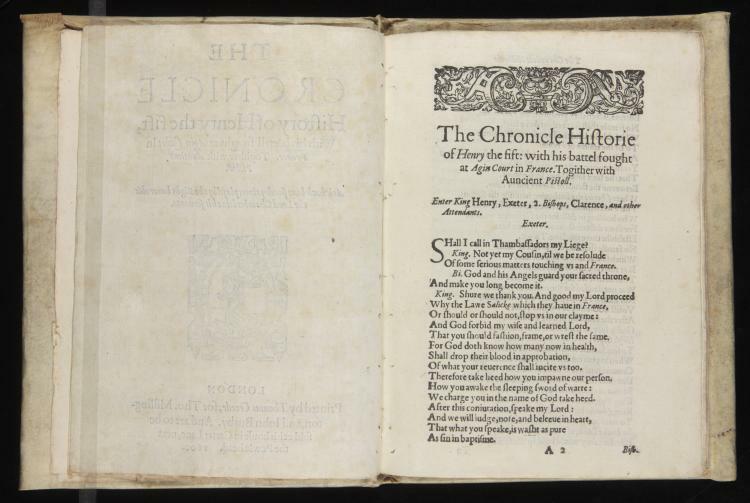 In this light, the 1623 Folio version of Henry V starts to look like one curious exception to standard printing practices, implicitly claiming the chorus to be—if only because it was Shakespeare who wrote it—an integral part of the history play it introduces, interrupts, and concludes.